^ Apple discontinues white MacBook. macrumors.com. 2011-07-20 [2011-07-20]. ^ Slivka, Eric. 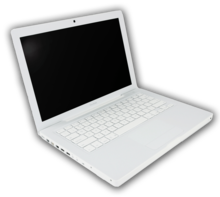 White MacBook Not Dead Yet: Still Available for Educational Institutions. MacRumors. 2011-07-20 [2011-07-20].